In 2007, Mary cofounded the Center for Coaching Excellence (CCE), an organization that provides International Coach Federation-approved coach training and workshops throughout the United States. In her current role as President of CCE, Mary continues to expand coaching into diverse industries by developing customized training used in companies such as ExxonMobil, Fairview Health Systems, and MJ Senior Housing. In addition to her work at CCE, she is a leadership consultant and coach who works with clients in the St. Paul-Minneapolis metro area and around the U.S.
Mary is the author of Conversational Leadership©, Essential Coach Training for Leaders©, Advanced Coach Training©, LifeMap for Focused Living©, and Communication Matters©. She created and developed the Convergence Leadership Process©, used and valued by hundreds of leaders. Earlier in her career, Mary served as Executive Pastor in the nonprofit sector—overseeing staff development during a time of intense growth and organizational change at Eagle Brook Church, which currently serves an average of 40,000+ people each week across several Twin Cities campuses. Designing Your Distinct Legacy. A four step Convergence Leadership Coaching Process©, with high confidentiality, measurable outcomes, and does not require significant amounts of time for the busy leader. Analyze–We work together to analyze your strengths, abilities, personality preferences, and leadership characteristics. We explore and determine core values, life mission and vision, then generate convergence of these areas into your leadership. Apply–We engage convergence by maximizing your capacity to lead with more intentionality, greater authenticity, and increased significance, expanding your distinct leadership influence and legacy. Execute–We strategically execute your leadership convergence and create cultures of communication effectiveness, synergy, and intrinsic employee engagement built on authenticity and trust. Support–Opportunities are created to support your continued leadership optimization, measurable outcomes, and benchmarks for leveraging your leadership. It's safe to say that more “team-building days” aren't going to remedy any lack of employee engagement. The answer to consistent engagement in today's agile work environment often requires support for the employee. Coaching provides valuable support by offering a confidential, safe environment for employees to maneuver through challenges, develop personally and professionally, and cultivate the ability to function within an organization with a high degree of intrinsic self-determination. Workshops are designed to establish cultures of communication effectiveness, synergistic teams, and strong employee engagement—all built on the foundation of trust that contributes to organizational legacy. The workshops are a companion to employee coaching and are customized to meet your organization's needs and are always presented within the context of the organization's mission and values. Joe partners with leaders to increase their personal effectiveness and efficiency, helping them create transformational, sustainable leadership development within their culture. With over 15 years of leadership experience in finance, accounting, operations and human resources, Joe brings a wealth of knowledge relating to the development of human capital for positive, profitable, and sustainable growth. In his most recent position with Microdynamics Group, he succeeded in promoting operational excellence and quality service with a 99% quality and on-time delivery rating while Vice President of Plant Operations. Annie is founder of Leading Better Together, guiding leaders through the challenges that sidetrack their mission. With over 17 years of experience in nonprofit leadership, she shows leaders the way through people problems and messy team dynamics to work better together. She holds a Master of Arts in Human Resources and Change Leadership with an emphasis in organization development from St. Thomas University and received her coaching certification from the Center of Coaching Excellence. The focus of her work is to engage leaders in thoughtful conversations through training sessions, strategizing leadership challenges in a six-week accelerated coaching process, and facilitating strategic conversations to help groups and teams prioritize, vision and plan through growth and challenges. Rick Raiford has spent his entire career in the field of investment management. His career began as a registered financial advisor with Phillips Capital Management in Greensboro, NC. Rick transitioned to Wachovia Wealth Management (Wells Fargo Private Bank) in 2006 where he worked as an investment manager, responsible for actively managing over $200 million in assets. As an investment manager, Rick was responsible for establishing investment policy statements which outline the investment allocation and strategy for each client. Rick also was responsible for the active and ongoing management of the investment portfolios, and regularly communicated with clients about investment performance and market/economic news and outlooks. In addition to his career as an investment professional, Rick has served on the board of directors for several non-profit organizations, and one for-profit corporation. The non-profits include Men Of Vision & Excellence (M.O.V.E.) (Co-Founder, Vice President), Restoration Place Ministries (Former Chairman), Cornerstone Charter Academy Athletic Committee (Former Chairman), and Daystar Church (Trustee). The for-profit corporation is the Center for Coaching Excellence, which is a leadership development organization based in Minneapolis, MN. Rick has lived in Greensboro for the past 19 years. Rick is married to Amber Raiford, and has six children; Caleb, Camryn, Avery, Evan, Landry, and Levi. Rick enjoys watching, participating, and coaching a variety of sports, spending time with his family, and serving as Executive Pastor at Daystar Church. Cathy is a recognized leader and former corporate trainer trainer who has great passion for helping others find their uniqueness through self-discovery and personal development. She has received numerous awards for outstanding leadership. Through a variety of personal and professional life experiences as well as continued education, she brings a down-to-earth and practical approach to adult learning and self-discovery. Her passion is to see individuals intentionally using their strengths and teams more actively engaged through team development. She is a part of the Columbus Coaching Collaborative in Columbus, Georgia, a group of ICF coaches who provide executive coaching as well as training and development. Cathy previously served as adjunct professor, teaching coach training in the Master of Science Organizational Leadership program at Columbus State University. 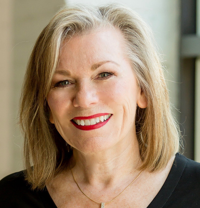 Cathy has a Masters in Management from Regent University, is an Executive Coach, an ICF credentialed coach, Gallup® Certified StrengthFinder Coach, and a Myers-Briggs Type Indicator® Coach. My growth from the training gave me confidence to coach in challenging workplace situations. The training was very thorough, with personalized attention that allowed me to absorb the coaching concepts and skills, apply them to my coaching context, practice the skills, and receive feedback.